In an interview, he shared his view about present time football and said “I am admitting the football matches I am watching these days on TV are too boring. Most of the teams are cumbersome and they are playing a repetitive football matches. Now, the teams that has been created in the pattern of 4-5-1, does not interest me anymore. “However, for me it is good as by watching these I got to know about things which I do not have to when I become the coach. Now, with experience I developing a clear plan how I have to train my team and how it will play. 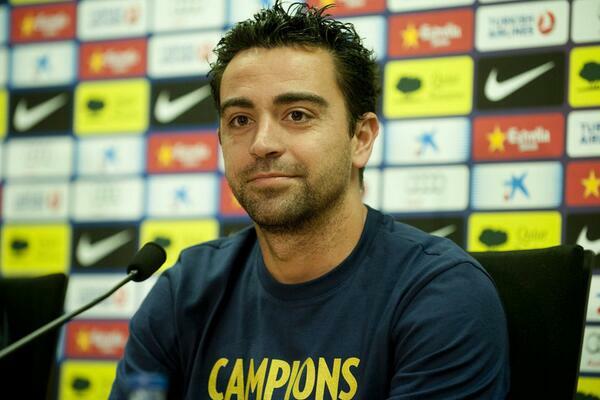 But it is not like Xavi does not like any of the team, he admires of Diego Simeone, the boss of Atletico Madrid. This entry was posted on Saturday, November 24th, 2018 at 11:18 am	and is filed under Uncategorized. You can follow any comments to this entry through the RSS 2.0 feed. Both comments and pings are currently closed.